The Honda Pioneer series was a welcome addition to the the UTV family. The Honda faithful had long awaited what Honda's re-commitment to the Side By Side industry would look like and the Honda Pioneer 700 didn't disappoint. 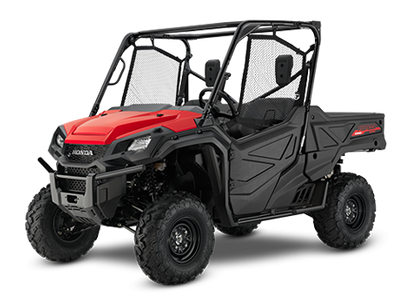 Equal parts work and play the Honda Pioneer is the perfect UTV for those owners want their machine to be more than just a one trick pony. When Honda expanded their line to include the new 500 and 1000 Pioneers, the application of the Pioneer line expanded as well. With a machine that provides so many options for enjoyment, it's no wonder there are so many parts and accessories for them. Browse our selection of Honda Pioneer 500, 700 and 1000 accessories and and you will see what we mean.